The Second Vatican Council, or Vatican II, was a pastoral, non-dogmatic ecumenical council of the Catholic church opened under Pope John XXIII in 1962 and closed under Pope Paul VI in 1965. That the Council was pastoral and non-dogmatic is made clear by the Opening Address of the Second Vatican Council given by Pope John XXIII on October 11, 1962. It has often been cited as the most significant event in Catholicism in the 20th century. At the same time the world’s bishops faced tremendous challenges driven by political, social, economic and technical change. Many of these bishops sought changes in church structure and practice to “better” address those challenges, changes they thought long overdue. The First Vatican Council had been held nearly a century before, but had been cut short by the effects of the Franco-Prussian War. As a result, only deliberations on the role of the Papacy were completed, with examination of pastoral and dogmatic issues concerning the whole church left undone. Pope Pius XII had considered convening a Council in order to address these issues and to confront Communism, but was advised not to do so because the presence of Modernists threatened to undermine his efforts and revolutionize the Church. The General at that time was Jean-Baptiste Janssens. Under orders from his General, Pope John XXIII inaugurated the Trojan horse ecumenical movement or Vatican Council II. The Latin Mass was dumped along with the dogma: there is no salvation outside the Church of Rome….All religions were now going to get you to Heaven as long as you were sincere. Under the teachings of Vatican II, sincere Communists, Buddhists, Hindus, Moslems, atheists etc., etc. were all going to Heaven . . . as long as they were SINCERE!! Vatican II introduces the Protestant practice of free judgment, the consequence of many creeds within the V2 church. What was the matter of such great importance that was resolved at this meeting? Based on the documents that are known today, there it was established, that Communism would not be condemned by the Second Vatican Council. Maybe I’m missing something here but if Communism were such a dreaded enemy of and a dire threat to the Catholic Church, then, from a Catholic perspective, how is it in any way a bad thing to see its demise? When compared with the previous quote, this statement also doesn’t make sense. Here it is claimed that Communism “is showing its superiority in an incontestable fashion and is strong through the support of hundreds and hundreds of millions of men”, while in the previous quote it was claimed that it “was passing through a serious crisis, both internally and externally.” So which one is going to be? The plot thickens. 2. It would have been natural, therefore, for the Second Vatican Council which met in Rome from 1962 to 1965, to have confirmed these condemnations against the greatest enemy of the Church and Christian Civilization in the 20th Century. Since it always has condemned “godless Communism” since its inception, what made the Catholic Church suddenly abandon this tradition? I can think of no other reason than that Communism always had been a pet project of the Jesuits themselves (see the beginning of the first part of this appendix). Although they openly condemned Communism in the past, apparently the time had come for the Jesuits to begin to afford showing affection for their own, albeit secret, creation. Indeed, the advent of Liberation Theology presented the Jesuits with an excuse to more openly appreciate the ideas of Marx. Jack Chick - "Alberto", comic book based on true story of ex-Jesuit priest Alberto Rivera blowing the whistle on his former masters. The Black Pope he mentions is Pedro Arrupe, Jesuit Superior General from to 1965 - 1983. Liberation theology addresses systemic issues such as class conflict, racism, and sexism. It arose in Africa, to reject colonialism and apartheid, and in Latin America, to reject political, military, and economic oppression. In Latin America it has played a role in church and state conflicts. In 1973, the English translation of Gustavo Gutierrez's A Theology for Liberation helped spread liberation theology to North America, where it has been taken up by some African-American and feminist theologians. Major themes in liberation theology include: God's favoring of the poor and the oppressed; Jesus' identification with the poor; the imperative for Christians to act with and for the poor; biblical mandates for justice; necessity of confrontation or conflict to bring about justice. The Theology of Liberation is a school of Christian theology in which the salvation or liberation wrought by Christ is examined not only in terms of liberation from individual sin, but also in terms of liberation in other spheres: the aspirations of oppressed peoples and social classes; an understanding of history in which the human being is seen as assuming conscious responsibility for human destiny; and Christ the Saviour liberating the human race from sin, which is the root of all disruption of friendship and of all injustice and oppression. It emphasizes the Christian mission to bring justice to the poor and oppressed, particularly through political activism. Its theologians consider sin the root source of poverty, the sin in question being exploitative capitalism and class war by the rich against the poor. It has a range of meanings: broadly, especially in the media, it may refer to any politically-activist Christian thought, but the technical sense is narrower. Liberation theologians use political theory, primarily Marxism, to help understand how to combat poverty. 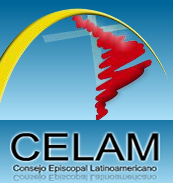 Created in 1955 in Rio de Janeiro (Brazil), the CELAM (Conselho Episcopal Latino Americano – Latin American Episcopal Conference) pushed the Second Vatican Council (1962-65) toward a more socially oriented stance. During the next four years, CELAM prepared for the 1968 Medellín Conference in Colombia. Cardinal Alfonso López Trujillo, who was a central figure in Medellín and who was later at the Vatican, said that the gathering of Roman Catholic bishops officially supported a version of liberation theology similar to that of the Vatican’s CDF in 1984. This began in the X Meeting of CELAM in Mar del Plata and the message Pope Paul VI issued to the Latin American Bishops, Church and Problems. Cardinal López Trujillo, in his account of those historical events, also said that the origin of liberation theology was simultaneously created by the CELAM’s Reflection Task Force, of which he was president, and a Brazilian theologian from Princeton, Rubem Alves, who in 1968 wrote Towards a Theology of Liberation. Adolfo Nicolás Pachón - Superior General of the Society of Jesus, calls Liberation Theology a "courageous and creative response to an unbearable situation of injustice in Latin America." So to recap we first had the Jesuits perfecting Communism in Paraguayan Reductions basically by conquering and subjecting the local Guarani Indians to slavery. Then later Marx was tutored in the principles of Communism by Jesuits in the British Museum, according to Alberto Rivera. All the while the Roman Church was openly against Communism and so openly condemned it. But what the Roman Church openly condemned it secretly supported, after all Communism, had always been a Jesuit enterprise. “In Rome and elsewhere, Catholic priests were given accelerated instruction in Russian Orthodox theology and ritual. Grandiose schemes were blueprinted for taking over the Orthodox Church, lock, stock and barrel, including the claims for her former wealth and lands; these to be put forward at a later stage, once Catholicism had taken over.” Sidney Hunter – Is Alberto for Real? Every major religious organization has been infiltrated and taken over by the Jesuits. They want everyone to stay in the mainstream organizations so that they can more easily be indoctrinated. Anyone outside the main churches will be more difficult to brainwash. the signing of a concordat between the Vatican and the U.S.
Sidney Hunter – Is Alberto for Real?